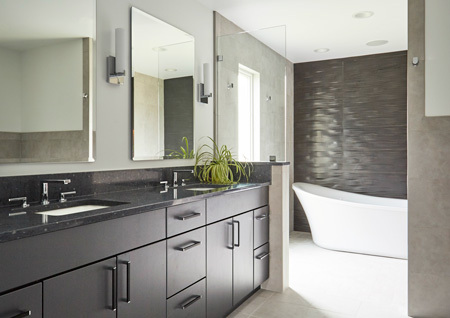 The goal of this project was to create a master suite that has an office space and an accessible master bath. The bathroom has a double vanity and separate make-up area. 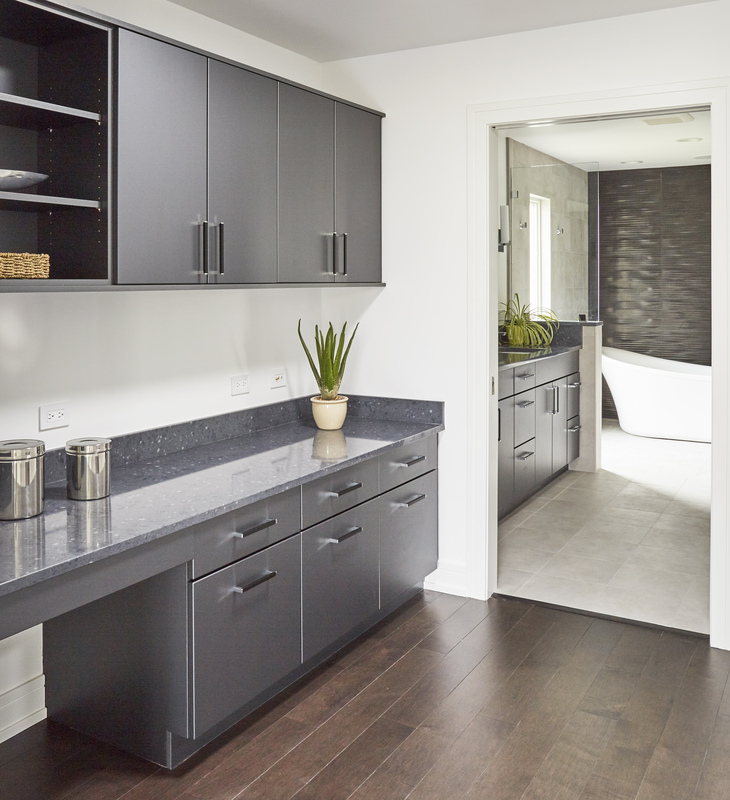 The cabinetry finish is dark grey thermofoil (Ultracraft color Shark), the countertop is Hanstone Grigio quartz. 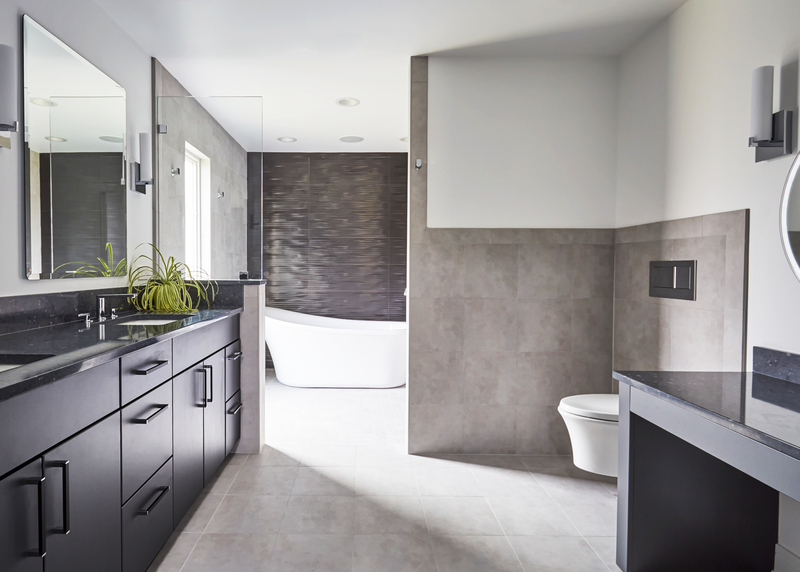 The textured black tiles on the back wall of the wet room add drama to the design. 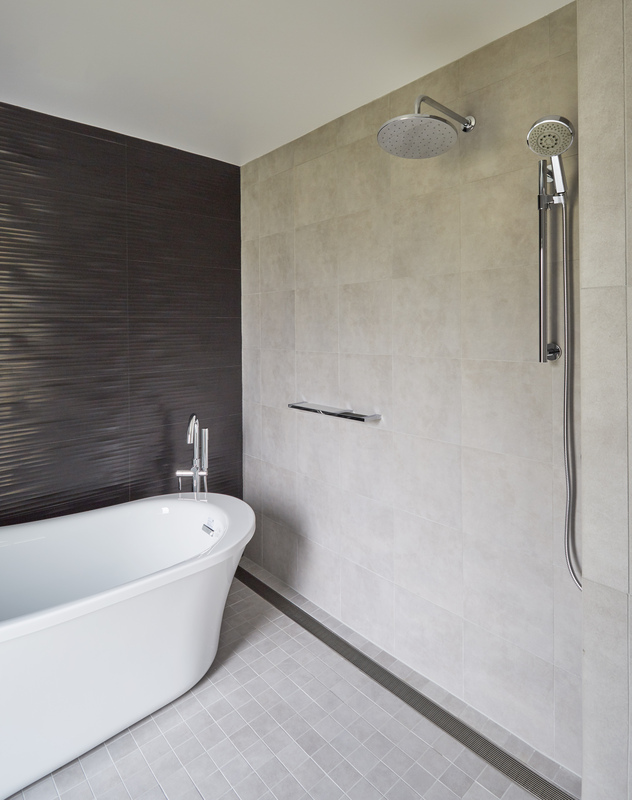 The wet room accommodates a curb-less shower with linear shower drain and a free standing tub.